CASH ONLY due to condition. 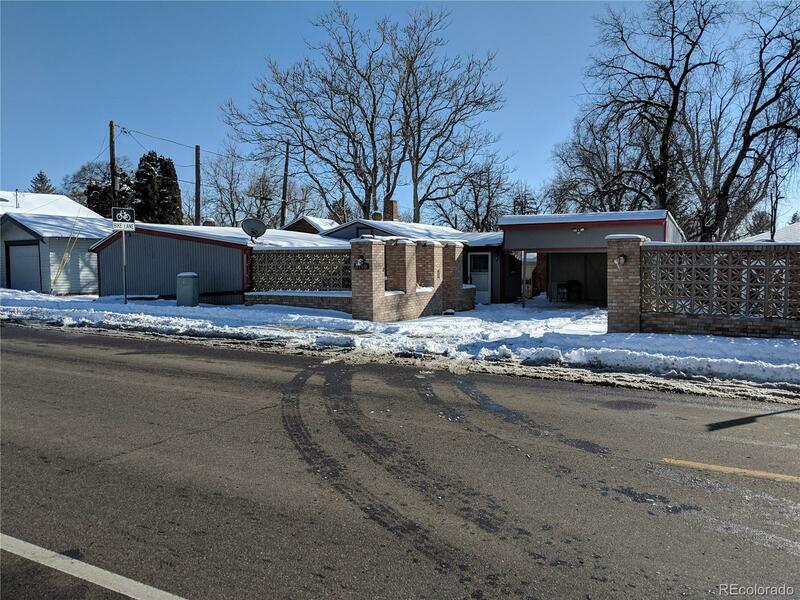 PLEASE READ BROKER REMARKS FOR OFFER INSTRUCTIONS Over-sized 6959 SF flat corner lot, close to Edgewater Main Street, Sloan's Lake, Highlands and Berkeley. Single Family new construction in the area only 2 blocks away has sold for over 950K. Estate, no SPD will be provided. Proof of funds required. Sold strictly as-is. There was a leak in the gas line under the house, therefore the gas in the home has been shut off. Some of the home is slab, but all the items requiring gas (stove, furnace, water heater) have crawlspace below them, so it shouldn't be too expensive to get a new line run. That is all that we know about the issue.